When breaking into any new business, you want to showcase your products in the most practical way possible. In the off-road industry, one of the better ways to do this is with a show car. 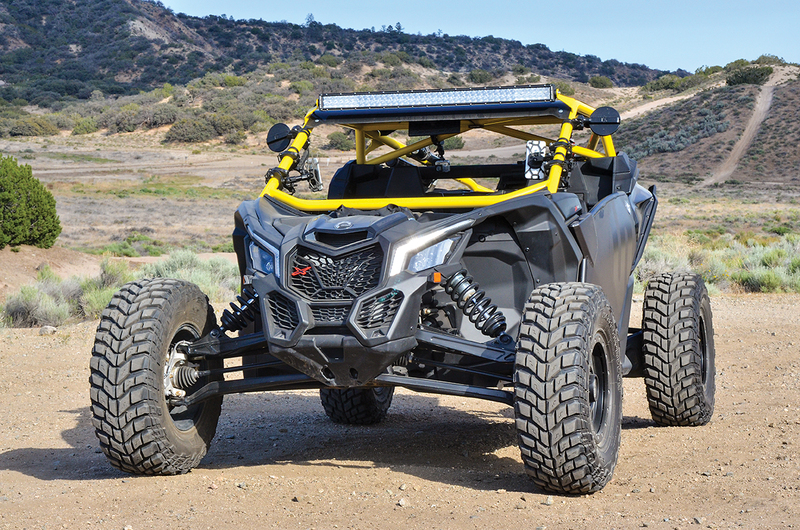 Scosche, a leader in car audio and electronics, is not a new business, but the company is new to the UTV game and has built a beautiful and functional Can-Am Maverick X3 to showcase what it has to offer. The car travels to West Coast trade shows and events, such as the Sand Sports Super Show and Overland Expo. 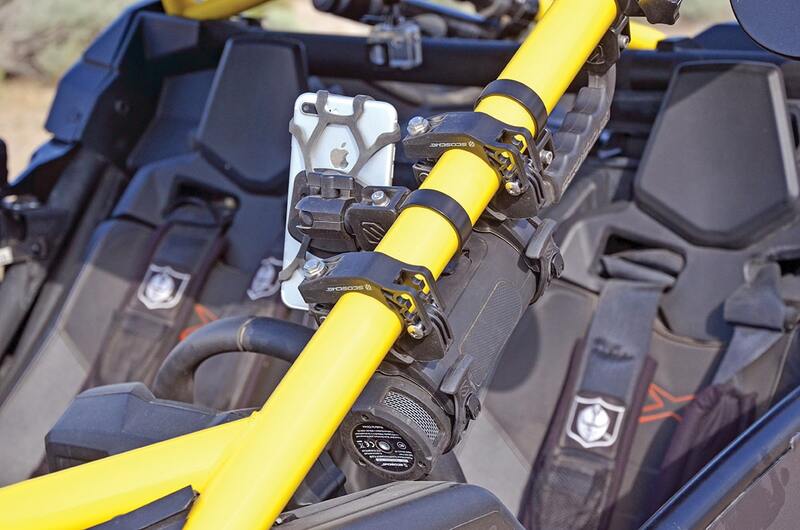 We met up with the guys from Scosche recently to get familiar with the products they sell for the X3. 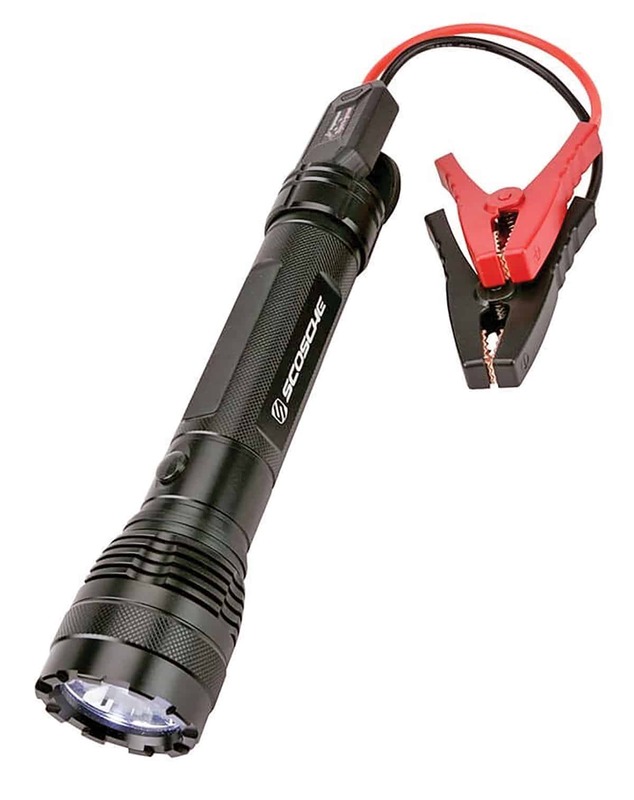 If you’re looking for some unique X3 products, check out what Scosche has to offer. To order, call them at (800) 363-4490. Or, to buy now, visit www.scosche.com. Small strap BaseClamp, $39.98 each. 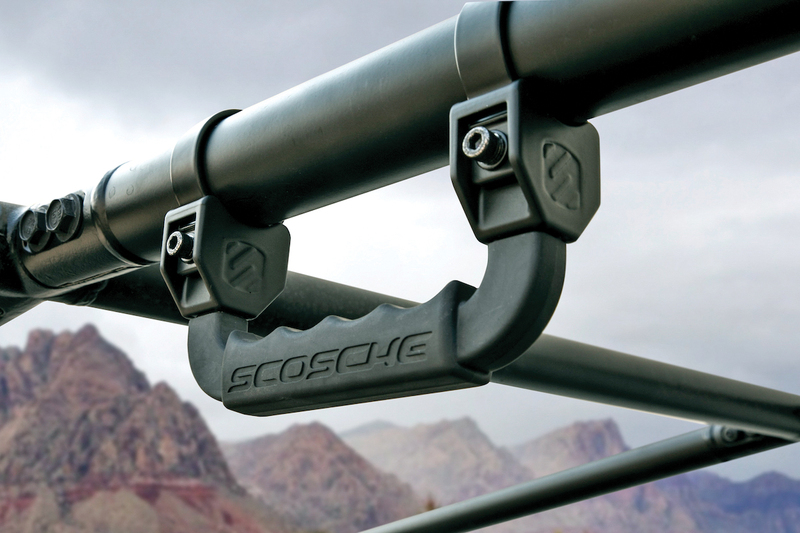 In the July issue we brought you a first look at the new Scosche UTV products. 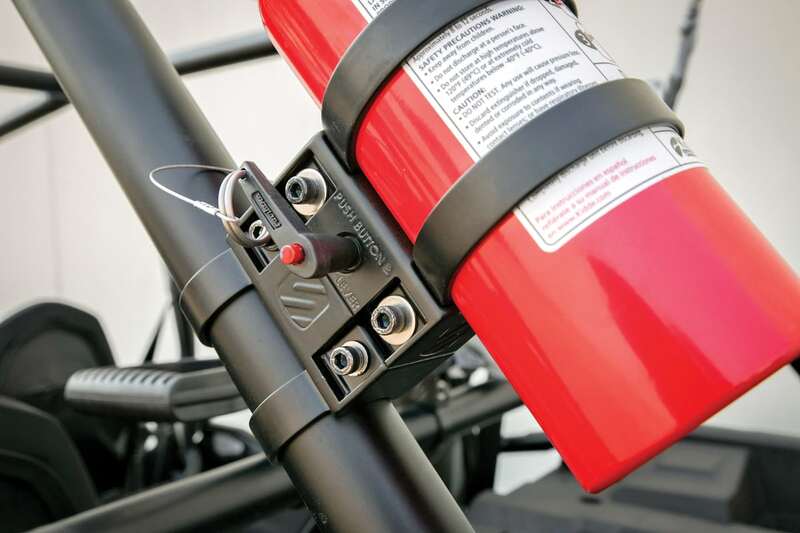 We tested a mirror and fire extinguisher mount. That is only a small sample of what they have to offer. 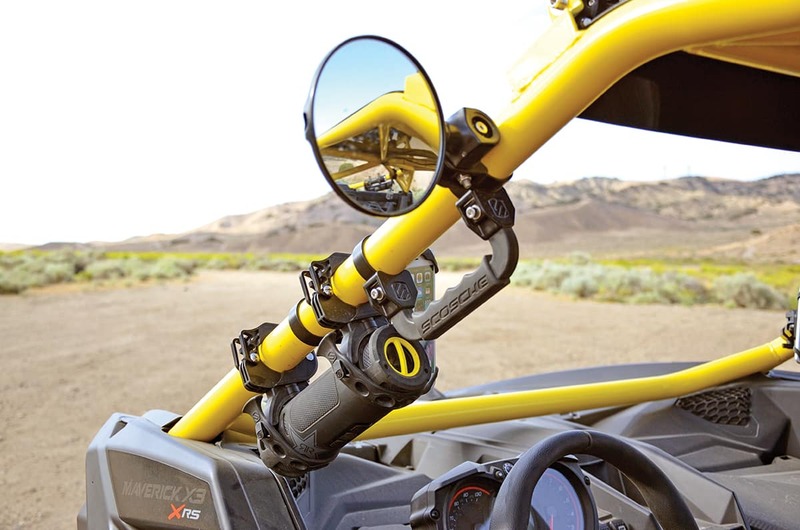 This Can-Am Maverick X3 is outfitted with the best of the rest. Many Scosche products are found at large retail stores such as Walmart. Convex mirror, $114.98 per pair. The OEMs build machines that are a blast to drive right out of the box. 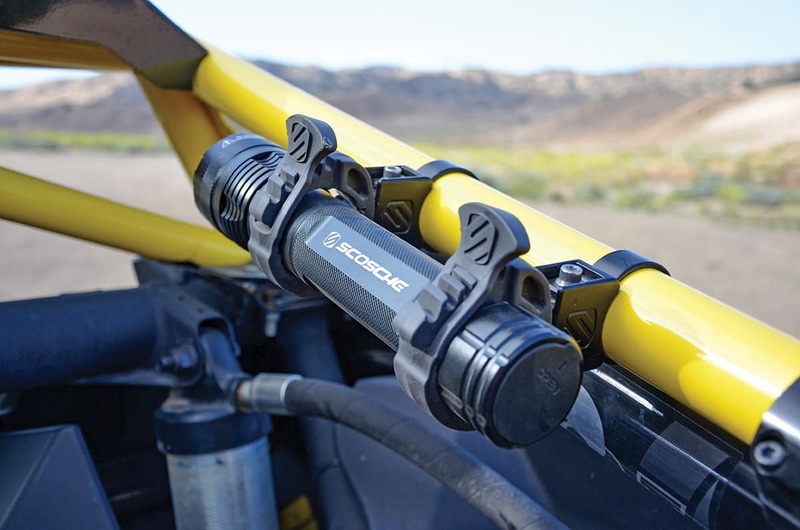 It’s companies like Scosche that offer products that allow you to personalize your machine and bring along creature comforts.